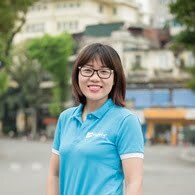 Laos is simple. Quite. PDR (please don’t rush). Authentic. And unique. This is definitely not the choice of party lovers and fancy thing seekers. 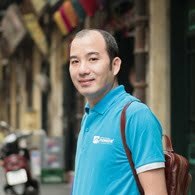 But if you are a real treasure hunter, so welcome to one of the most majestic treasures in Southeast Asia! Welcome to the land of simple funs, but you can find nowhere else in this entire world! 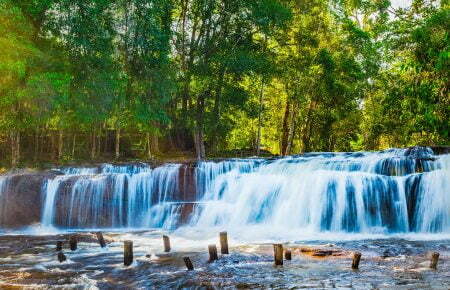 Go through the list of experiences below to see how much you can get in your Lao trip. 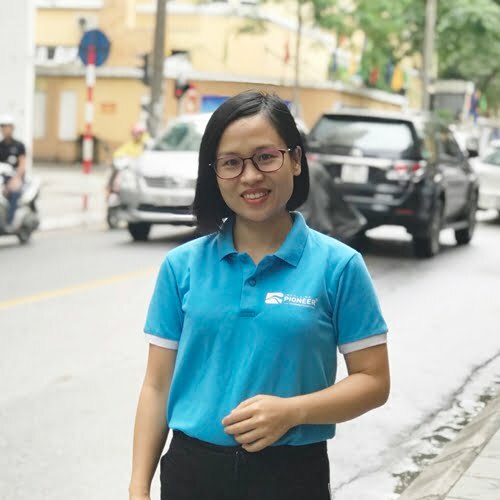 Every November, over three days around the full moon period, Boun That Luang takes place and be followed by a number of processions, parties, and a trade show. The stupa in Vientiane is the national symbol of Laos and is said to house a piece of Buddha’s breastbone. 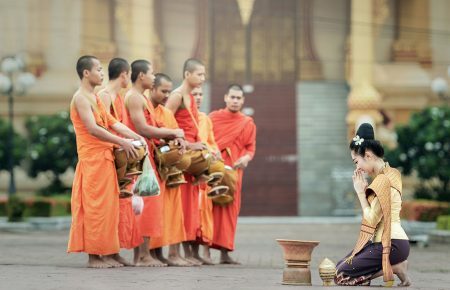 Thousands of pilgrims gather at That Luang to give offerings to the monks who come from all over Laos. 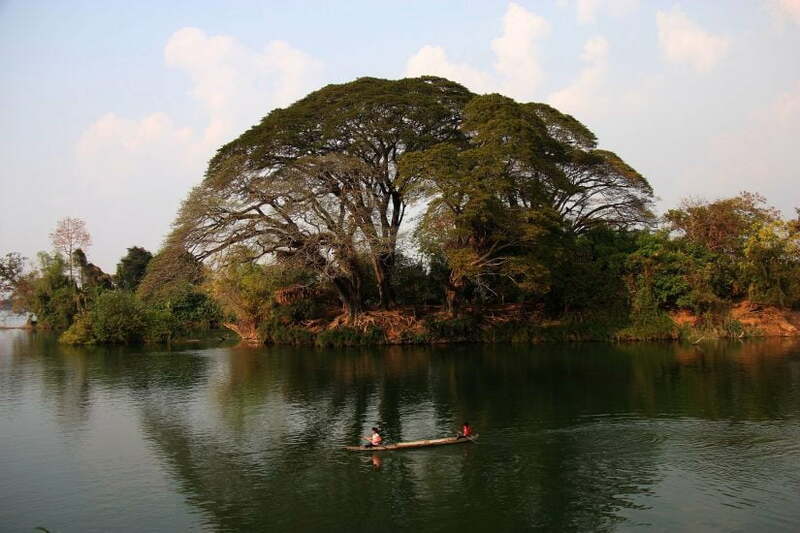 Si Phan Don means ‘4,000 islands’ in Lao language and is literally a group of thousands of rock outcroppings as well as a few habitable islands in the far south of Laos on the Cambodian border. 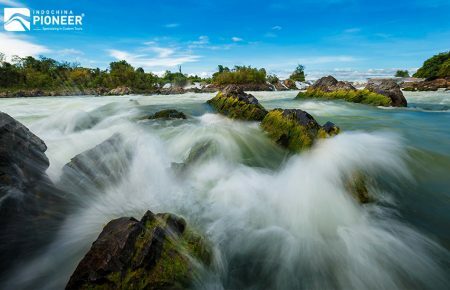 Accessing to some of Laos’s most spectacular natural wonders, Si Phan Don is so graceful with the smell of wildflowers in the air, the scene of buffalos grazing grass, and lazy fishing boats flowing in the river. 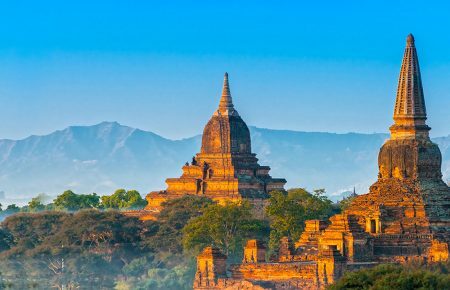 Here is where you can enjoy the perfect tranquility, with bike riding, opportunity to meet Irrawaddy river dolphin, and taking in the rapids at Khone Phapheng falls – the largest waterfall by volume in Southeast Asia. 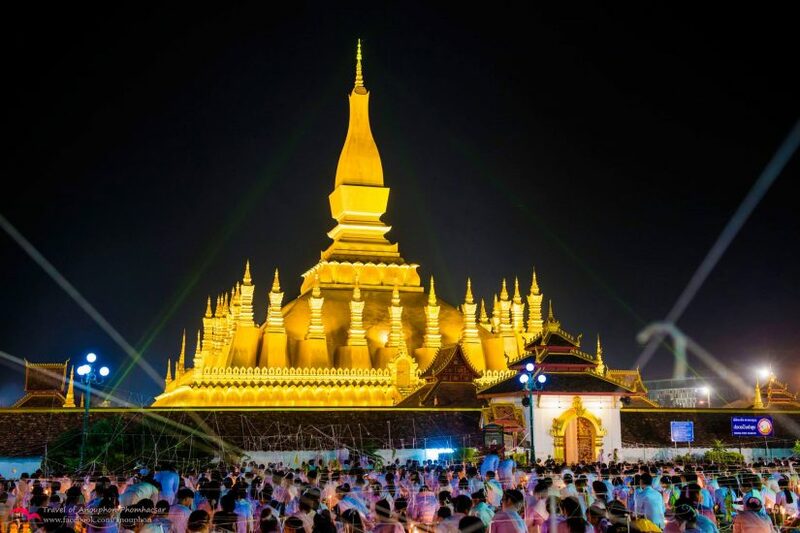 Every April, Laos shuts down for three days to celebrate the Lao New Year. 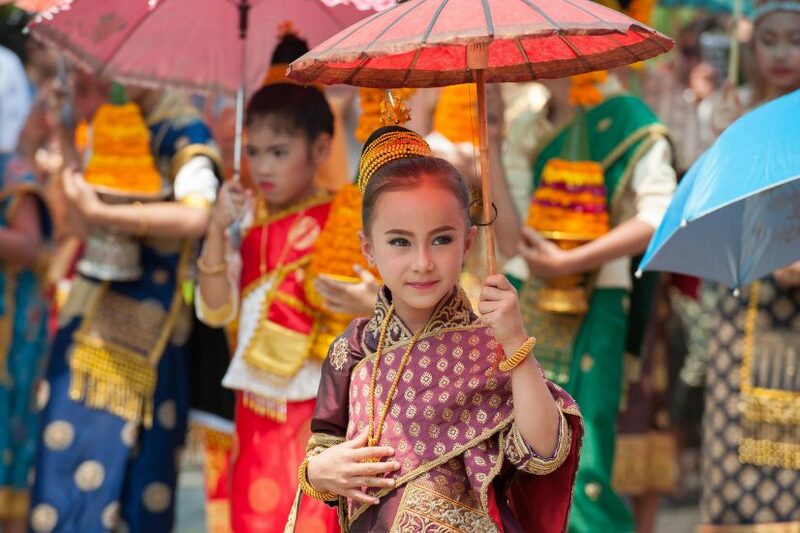 This is the most magical time of the year in Laos. The whole country seems to be put on a shiny appearance. Buddha statues, houses, and villages are cleaned for the new year. Huge water fights take place on the streets. Beauty pageants, dancing, and parties are all part of the fun. 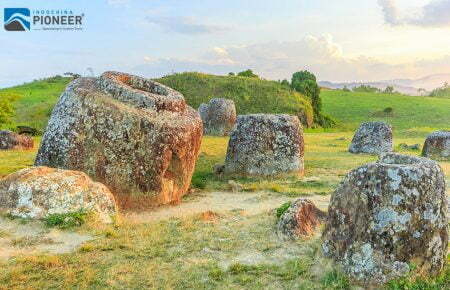 The Khmer ruins of Wat Phou lie in Champasak Province in Southern Laos. 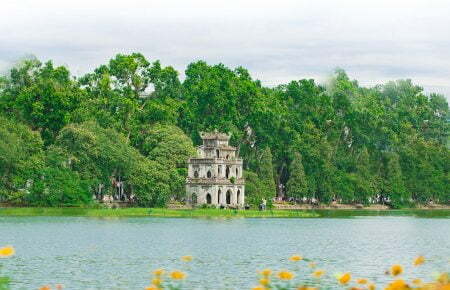 Oriented toward the east, the ruins have two large reservoirs on either side of a long column-lined road, leading toward the mountains. 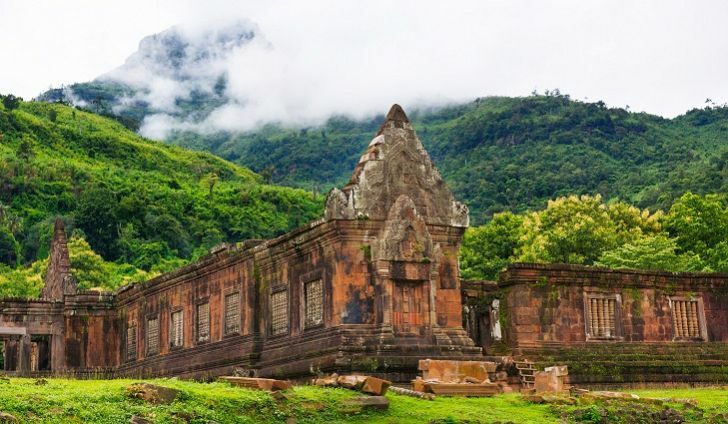 Past the palace ruins, up to a steep staircase, you’ll find the sanctuary with a modern Buddhist shrine and a natural spring considered to be sacred. 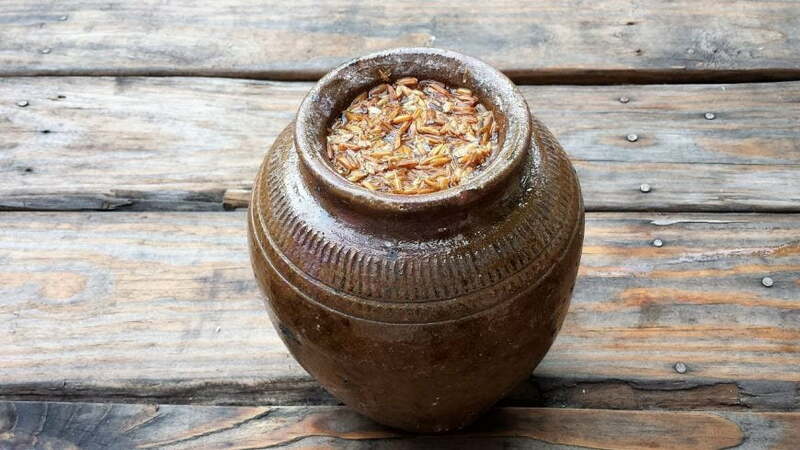 Lao Hai is traditional Lao whiskey distilled from rice and stored in clay jars. It is often sipped through long bamboo straws in the communal fashion. Women are often the ones who make and sell the alcohol. 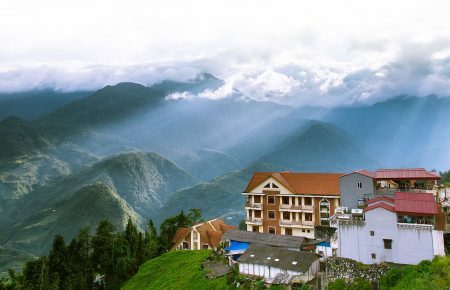 While clear, distilled Lao-Lao is commercially available, Lao Hai is usually found in small batches by home brewers. 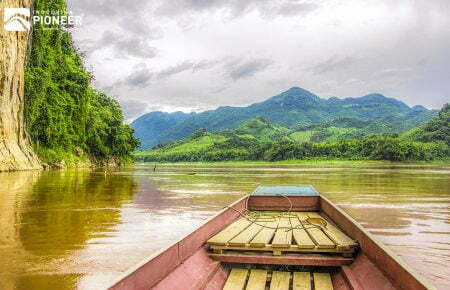 Vang Vieng, a town 3.5 hours north of the capital of Vientiane, is famous for tubing. Rent a big tractor inner tube and get a tuk-tuk to take you upstream. 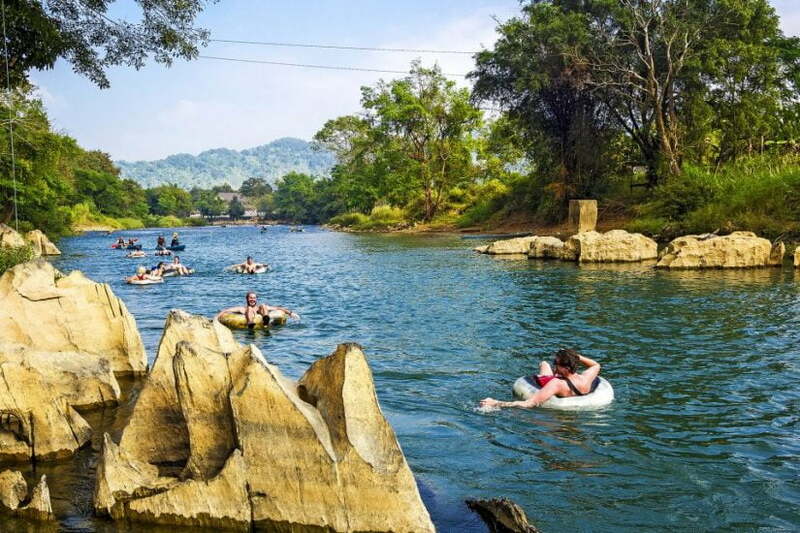 Float down the river, stopping at the riverside bars to play drinking games and volleyball, and sip a Beer Lao before getting back in your tube and heading downstream again. 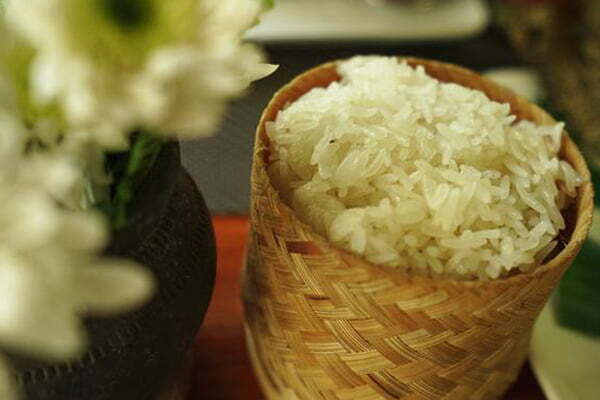 Glutinous sticky rice, or Khao Niao, is a staple of the Lao diet. It’s consumed at all meals and served in big bamboo baskets where it’s eaten by hand. Grab a wad and smash it into a little ball to dip into sauces or scoop up vegetables or meat. Instead of boiled, sticky rice is steamed in a bamboo basket over a pot of boiling water traditionally over a charcoal stove or open flame.